Do you love fish? Then you must love mangroves! 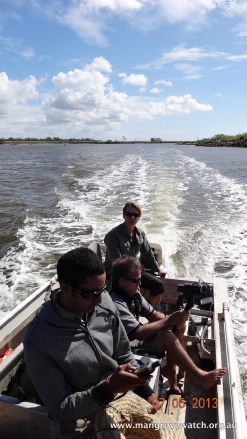 Next Saturday (March 28) a new program will be launched in Gladstone to film and monitor mangrove shorelines around the region as part of a new Coastal Habitat Archive and Monitoring Program (CHAMP) lead by scientists from JCU’s TropWATER Centre. 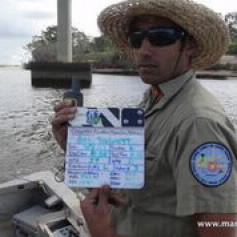 “Nearly all seafood that ends up on our plates has received some benefit from mangroves, like food and shelter,” said Dr Norm Duke, a world-renowned mangrove scientist with TropWATER and project lead for the new coastal monitoring program. “They also protect shorelines during cyclones and trap harmful mud and chemicals before they enters waters of the Great Barrier Reef,” Dr Duke said. The launch of the CHAMP project will showcase Sea Country themed artworks by local artists highlighting the importance and beauty of the coastal zone, as well as featuring JCU mangrove experts, who will share information about local mangroves with the community. Attendees will also find out how to get involved in this new program and how to help protect important natural coastal resources of the Gladstone region. 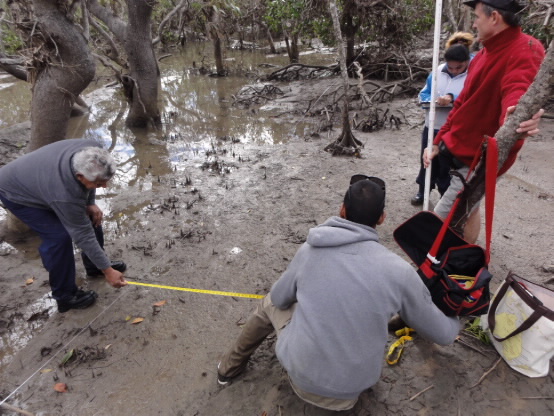 Dr Duke said the Rangers will film, record and help measure the condition of mangroves in the Gladstone region. “The Rangers will assess the health of mangroves around Gladstone to inform better management and to improve more effective protection so mangroves can keep putting fish on your plate for years to come. The project forms part of Gladstone Ports Corporation’s (GPC) Ecosystem Research and Monitoring Program - a compliance requirement under GPC’s approval for the Western Basin Dredging and Disposal Project. The launch will be held on Saturday 28th March from 9am to 1pm at the Leo Zussino Building CQU, Gladstone. For more information, contact Richard or Arthur at Gidarjil Development Corporation on 4972 1881.